Gravity Falls is an American animated television series that first aired on Disney Channel then later transitioned to Disney XD from June 15, 2012 to February 15, 2016. 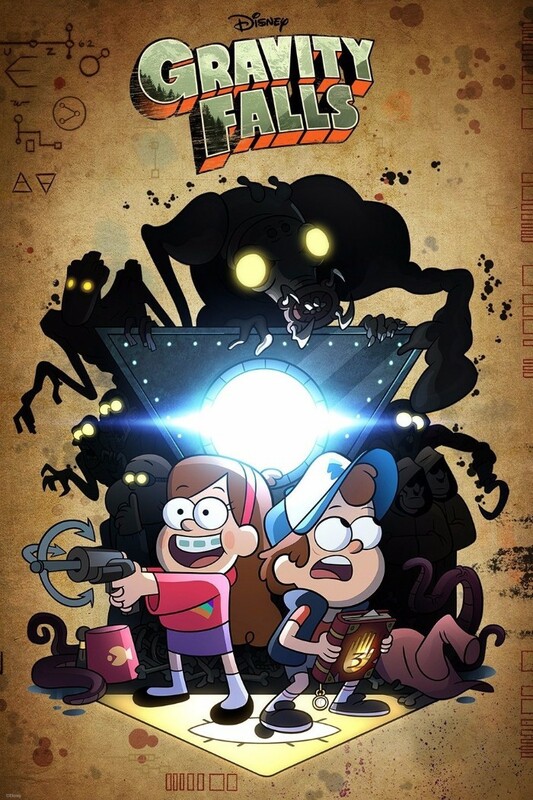 It follows the adventures of Dipper Pines and his twin sister Mabel in the fictional town of Gravity Falls, Oregon, while on summer vacation. MaxiGamer at DeviantArt created a font based on the logo of the TV show. The font is available in uppercase letters and limited punctuation marks. You can download it for free here. If you do not want to download and install the font but just like to create simple text or logos using Gravity Falls (TV Show) Font, just use the text generator below. The following tool will convert your entered text into images using Gravity Falls (TV Show) Font, and then you can right-click on the image to save it or click on the "EMBED" button to get links to embed images on the web.